The nights are drawing in and I am already noticing how much more difficult it is to get up in the morning. I have my weapon against miserable start-ups though, which I'll go into later. Most of us are aware of the existence of SAD - Seasonal Affective Disorder, although I suspect that more people suffer from it than are actually aware of it. About 10 years ago I noticed that although I enjoyed the idea of winter, roasts, fires, snuggly clothes, cosy nights in etc, the reality of the lack of daylight really got to me, on a physical level as well as mood-wise and by Christmas I would feel quite dreadful. I originally thought that maybe I had hang-ups about Christmas, and yes, the frittering of large amounts of cash for a load of c**p does sicken me slightly...but the idea of a mid-winter celebration to cheer up the depths of winter sounds marvellous....in theory. So why did I feel so grumpy? As the years passed by I noticed that I was desperately craving light in the winter and would avoid darkened rooms - they made me feel agitated. 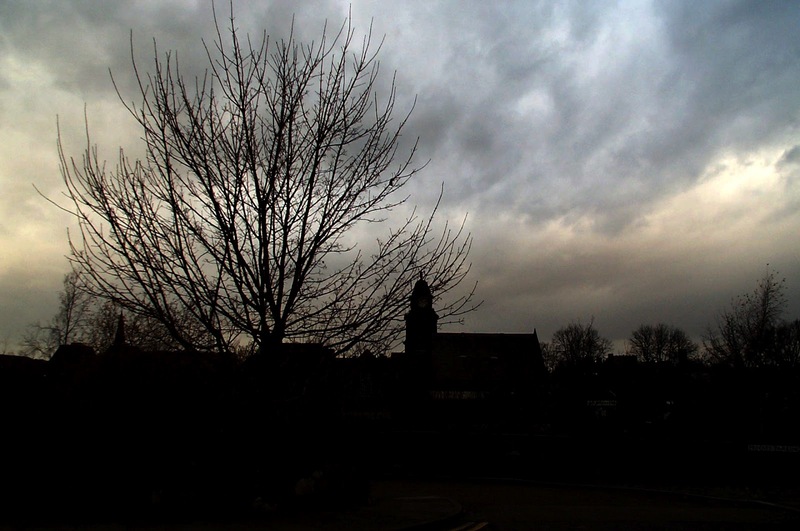 On gloomy, mid-winter days, I felt almost suffocated by the darkness descending around 4pm. I became appreciative of the fact that trees lost their leaves so that a bit more sunlight could reach me. About 5 years ago this self-diagnosed SAD came to a head. I noticed that every winter I was becoming more and more antisocial, that I was struggling very hard to get out of bed in the mornings - it felt like torture. My appetite was affected and my activity levels slumped. Whilst I think a certain amount of adjusting to the winter season is inevitable, I found myself spending nearly half the year feeling low and increasingly anxious. I researched the topic, on the internet and from books from the library. I decided that I should try a SAD lamp and spent hours looking into which would work best for me, or, indeed, work at all. 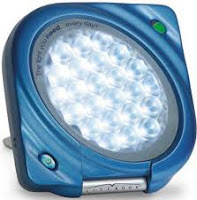 The reason behind why SAD lamps seem to work, is that in the winter there is a lot less light reaching our retina, and it is the action of sunlight on our retina that signals the body to stop producing the sleep hormone melatonin. By using the lamp we are telling our bodies that it is time to wake up. I settled on the Litebook as it's small size and portability appealed. It is so powerful that you only need to use it for 15 minutes a day to feel the benefit. The slight downside is that you are advised to use it from September to gain full advantage, and use it until April. I bought mine in November so didn't get to feel the full benefits the first year, although it did help me to feel more awake and I noticed a big reduction in my SAD symptoms. The following winter I was even better, significantly better than I'd been in years and even arranged a birthday party for the first time in a very long time (my birthday is at the end of January, a time when I used to be at my peak of misery). I use my lamp for 20-30 minutes in the morning before getting up. I read or check emails while lying there with the light shining towards my face. By the time the session is over I feel ready to get out of bed. More ready, anyway. Sometimes, especially if I have an busy evening planned, I will use the lamp again late afternoon to give me a boost. A secondary use for the Litebook is for jetlag and I can confirm that it can be effective in helping if you suffer with that. I use it in conjunction with melatonin supplements, which you cannot buy in the UK, but American drugstores have loads of the stuff. I wear warm, woollen clothes and (fake) fur-lined boots on cold days and thermal underlayers if needs be. Also, I'm not as stingy with the heating as I was brought up to be. I try and keep to my usual, reasonably healthy diet which includes lots of salads, vegetables and fruit. Once I start going down the quick-burn carbs route I find it hard to get out of the cycle. The levels of exercise are not as high as during the summer months but I make sure I do something. Any sunny days I try and get out for long walks meaning I get more precious light hitting my retina. I have yet to be in a position to be able to do this, but due to current commitments I cannot jet off for a week's sunshine to get a boost. If I could, I definitely would. The NHS suggest that counselling or psychotherapy can be useful in alleviating the symptoms of SAD and I can confirm that I personally found some benefit in having counselling several years ago when I thought that there was something wrong with me; when I felt rather ashamed and somehow feeble for having SAD. Suffering with SAD may exacerbate existing issues with relating to others and with one's self-worth. Counselling can help you with these difficulties. I'm glad that you shared here about Seasonal Affective Disorder and it's symptoms.I'm happy that counselling played an important role and have help you in your recovery.